Who doesn’t love a good bargain? South Carolina shoppers know the secret to finding high-quality items at below-retail prices: consignment stores. Unlike thrift shops, consignment stores tend to offer like-new merchandise for less than what you’d pay in a typical retail store. You can find anything from clothes and jewelry to furniture, home goods, and more—all at great discounts. Consignment stores are also a great way to make a little money on your own used goods that still have a lot of life left in them. 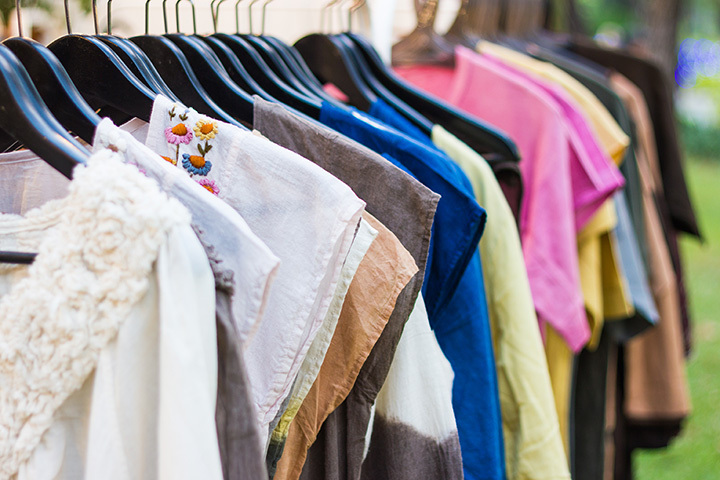 Discover something new at these 10 best consignment stores in South Carolina. With a flair for style and economy, you can outfit your entire home for less. They update their inventory daily so there’s always something new every time you shop. They offer furniture for every room in your home, all high quality and at the best prices in town. They’ll even deliver it to your home for you! Focused on baby and children’s clothing and gear, adding a new member to your family is less expensive when you shop here. They feature a variety of furniture, toys, clothing, and other items for your little ones, as well as maternity clothing for mommies to be. The store itself is spacious and easy to shop, and their items are so carefully curated you’ll have a hard time believing they’re second hand. As Aiken’s #1 consignment shop, you can outfit your entire family for less. They accept only gently used item to line their racks, so you can rest assured you’re getting great clothing that still has a lot of life left. If you’ve got a surplus of clothing at home, make a little money by consigning your items here—you get 40 percent of each item’s selling price! This consignment store knows how to keep Charleston bargain shoppers classy. Their policies are a bit strict as far as what they don’t accept, but that’s good news for shoppers who want to know they’re getting the best used clothing at the best possible prices. Their consignors make 40 percent of every sale, and things like furs, cocktail dresses, and high-end designers have been known to make regular appearances on their racks. This home showcase features furniture and other accessories you’ll be proud to give a second chance. You can shop their pieces from each location online before you make the trip. If you want to consign your own pieces with them, they offer pick up services to save you the hassle of carting it to the store yourself. This consignment store is a one-stop shop for children and ladies clothing, furniture, home decor, art, and more. Their selection changes constantly, and things don’t tend to linger. If you find something you like, you better get it then—it probably won’t be there when you return. They offer tiered pricing for the items you consign - you could make up to 60 percent on items that sell, and even more if you opt for store credit instead of a cashout! Revente is THE headquarters for designer brands and quality second hand clothing. Inside you’ll find a high-end boutique store that’s hard to believe the items inside are previously owned. Consignors will earn 40 percent or 60 percent on every item sold. This mega shop has tons of items to choose from, all in like-new condition. From furniture and home decor to glassware to bedding to outdoor equipment and more, it’s like shopping at a big box store without the big box prices. Some fans claim they could spend the day here exploring, and there’s always something new to be discovered. Who says good style can’t also be economical? Uptown Cheapskate says you can have your cake and eat it, too. They only accept like-new shoes, accessories, and clothing and give you cash on the spot (you get more if you take store credit). They add hundreds of new items to their racks each week to give you a new experience every time you shop. This upscale furniture consignment store brings you southern style and affordability in a single package. In addition to great prices on their used furniture, they also offer a variety of classes and consultations, like their furniture painting class that lets you transform your new-to-you pieces into your own unique furniture. Consignors can expect to receive 50 percent of the final selling price.